Over the final quarter of 2018, the company brought in net income of US$43 million, with full-year net income coming to US$227 million. Global aluminum leader Alcoa (NYSE:AA) recorded a profitable Q4 2018 off the strength of its bauxite and alumina segment which experienced price growth during the period. Over the final quarter of 2018, the company brought in a net income of US$43 million, and a net income for the full year of US$227 million, with revenues surpassing US$13 billion. “Our 2018 results reflect how we’ve made Alcoa stronger,” President and CEO Roy Harvey said in the announcement. “We’ve built upon the progress we made since our launch, and by executing our strategic priorities to reduce complexity, drive returns, and strengthen the balance sheet, we’re now better positioned to thrive through market cycles,” he added. Despite Alcoa’s positive results, the company foresaw a global alumina deficit for 2018 of roughly 0.4 million to 1.2 million metric tonnes. The prediction proved correct with the global alumina deficit for 2018 hitting 0.6 million metric tons. “With the help of higher market prices earlier in the year, we increased annual profits, addressed liabilities, significantly strengthened our balance sheet, and began returning cash to stockholders,” explained Harvey. For the year ahead, the aluminum producer expects the alumina market to move into surplus territory. The stockpiles will be a result of an alumina surplus in China, where expansions in the refining space are expected to outpace demand growth from smelting. While alumina may be in abundance for 2019, there may be an aluminum shortage. “For 2019, Alcoa projects a global aluminum deficit ranging between 1.7 million and 2.1 million metric tons with global demand growth in a range of 3 to 4 percent,” noted the press release. The company foresees 2019 playing out favorably as well, as supply concerns help drive prices higher, similar to the sector performance in early 2018. Alcoa shares were up 2.43 percent on Thursday (January 17), trading at US$29.40. Securities Disclosure: I, Georgia Williams, hold no direct investment interest in any company mentioned in this article. 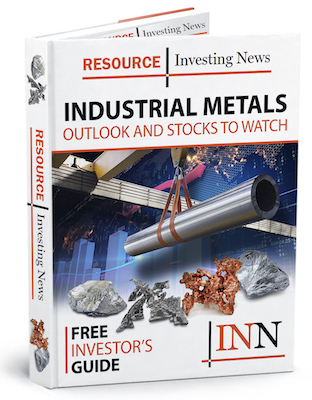 Get the latest information about companies associated with Aluminum Investing Delivered directly to your inbox.